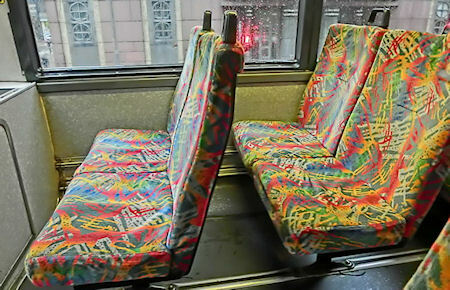 The Presurfer: Ever Wondered Why Bus Seats Look So Ugly? Ever Wondered Why Bus Seats Look So Ugly? Ever wondered why the average bus seat looks so ugly? The reason (it's nothing at all to do with bus designers having an obsession with retro chic) is far more thought out than you'd think. In fact, there's actually a very complicated process in place to ensure that it's most effective.